Wild flowers bloom only in mid to late summer in high altitudes of Mt. Rainier National Park but when they do they come on strong! Tatoosh Range is in the background as viewed from the Skyline trail. Thank you for your comment on my Red-tailed Hawk. As to your to question it was taken in a field near the Nisqually Wildlife Refuge. I take many pictures at the refuge. 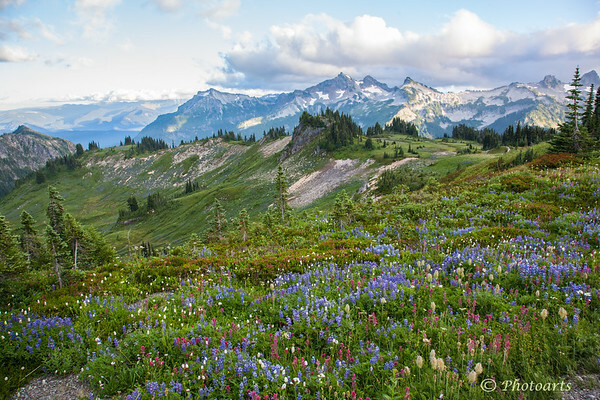 Wonderful wildflower foreground--stunning mountain backdrop.